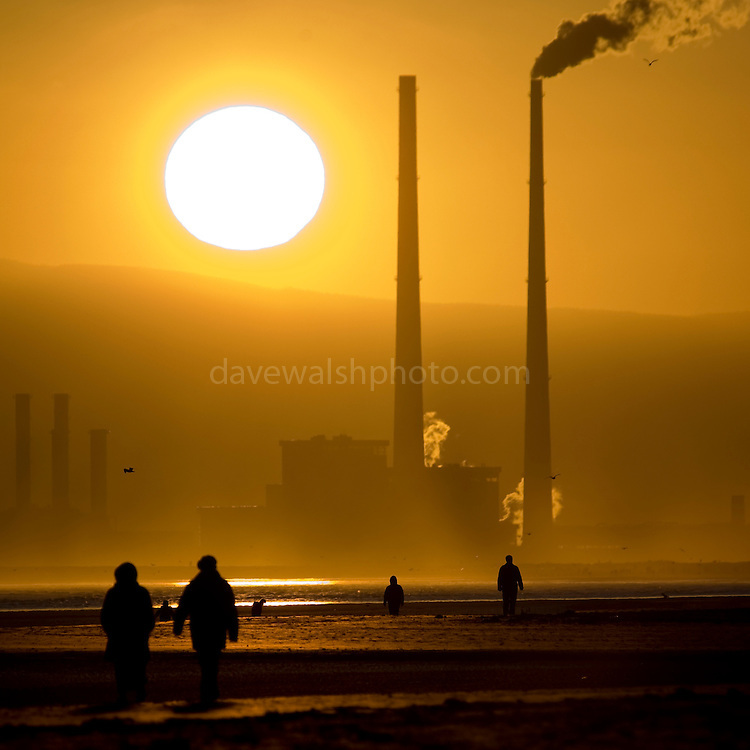 Climate change: Source of solar energy setting behind user of fossil fuel energy - sun setting behind Poolbeg Generating station, Ringsend Dublin, The Walkers are on Bull Island, in North Dublin. The energy generating power station is Ireland's second most polluting installation in terms of carbon dioxide, co2 emissions, according to the European Environment Agency. This image was "Highly Commended" in the "Changing Climates" category at the 2009 Environmental Photographer of the Year competition.